This year I'm going to try to be a bit better about birthday cards. I'm absolute rubbish. And Facebook made it easier to remember but I left Facebook last year so I'm right back to not. Carving a cute new stamp seemed as good a place to start as any, no? And this card set ensures at least four people will get cards this year. Which, sadly, will be a huge improvement. 2. Stamp image on post it note. Cut out and use as a mask to protect the nice clean cake image. 3. Dab Ranger Distress Ink through 'stencil' with a foam cosmetic sponge - in this case the stencil was some old fancy cut out paper... KI Memories I think. Laser cut cardstock was quite a thing a few years back. 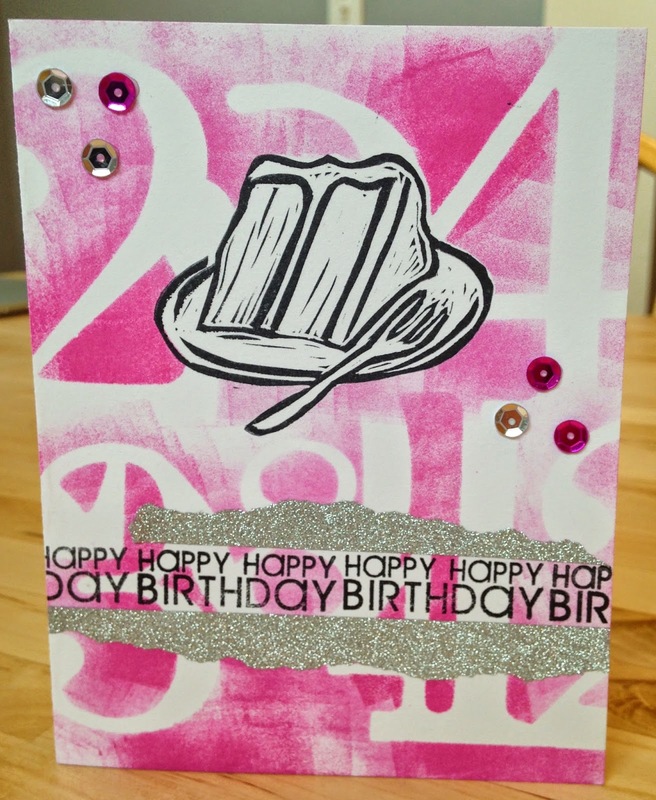 Note: On the top card, I stamped a Hero Arts French Script stamp with distress ink, let it dry and then stenciled over top. 4. 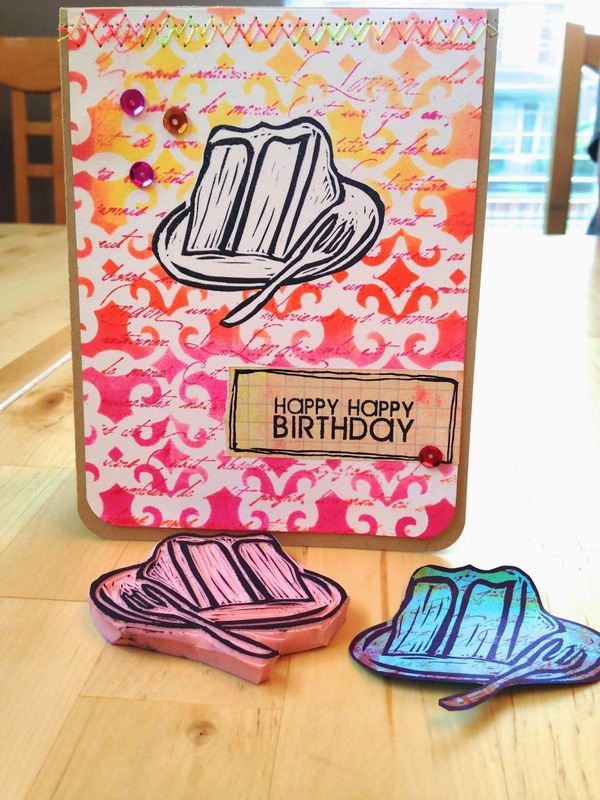 Add a sentiment - these are Papertrey stamps on bits of Gelli Prints. This one was a little different, same idea but with a number laser cut, no ombre effect and I stamped the sentiment right onto the card like a ribbon. 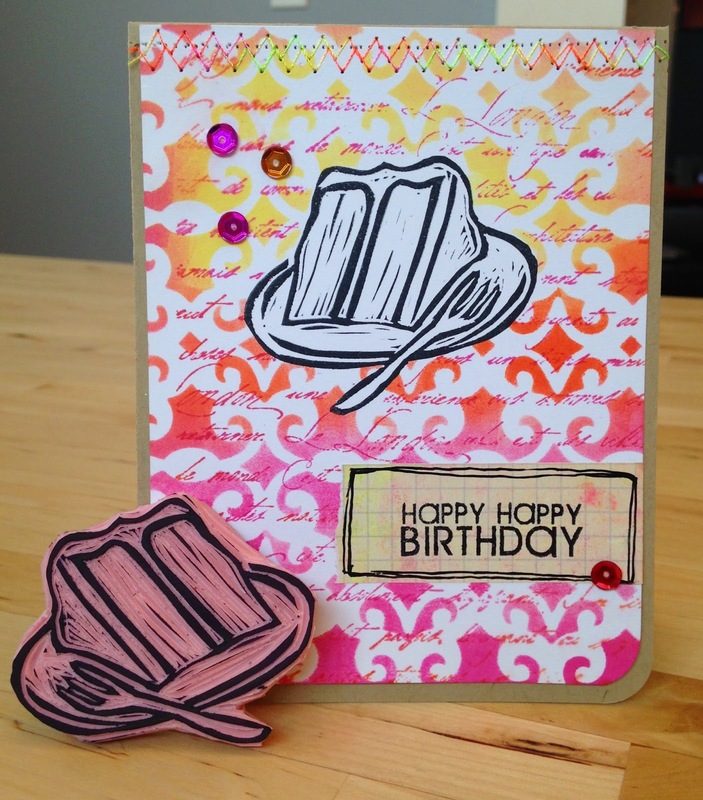 This is my entry in the Inky Backgrounds Challenge at Simon Says Stamp. 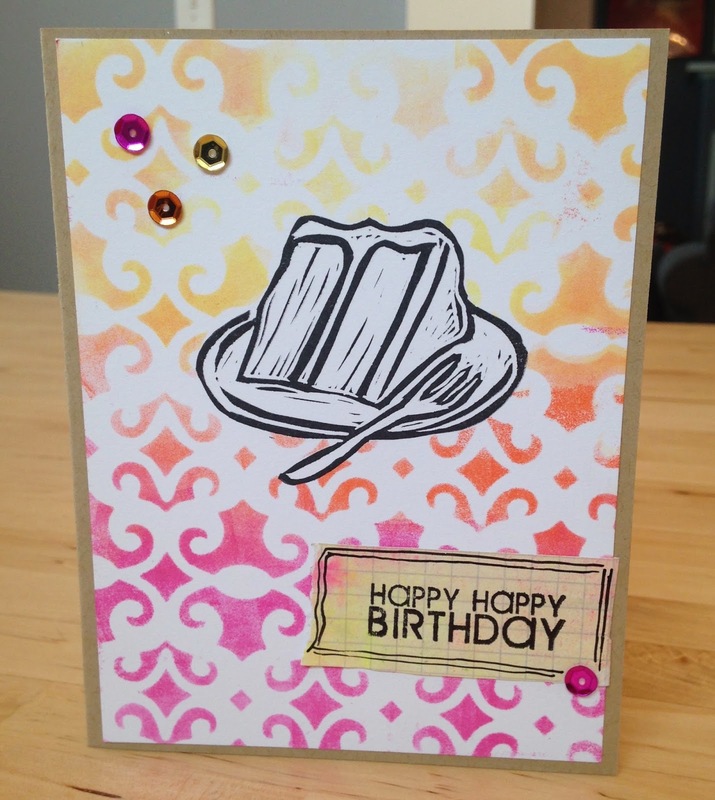 Cake stamp could be used for Portal cards too! these cards are a real like WOW!!! love LOVE them all ! And good luck on your health challenge! 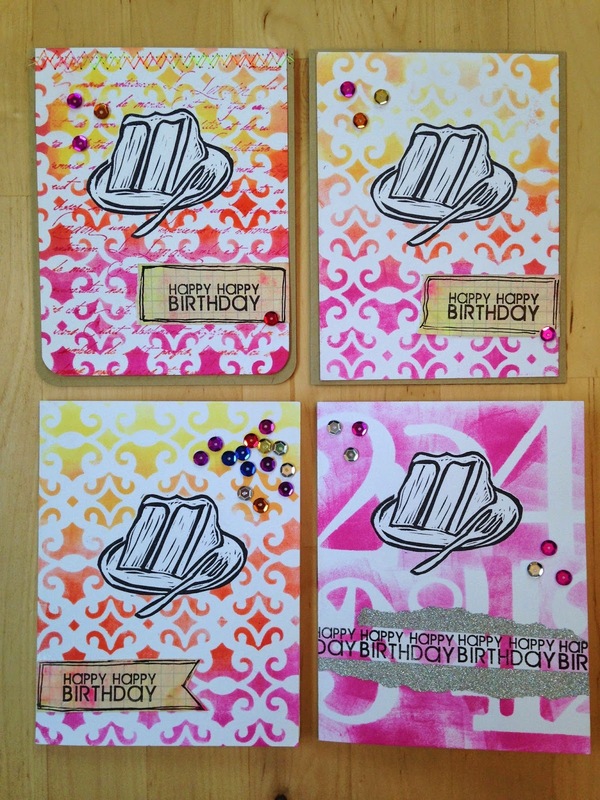 Brilliant carved stamp and love the bright happy colors in he background on all four cards! 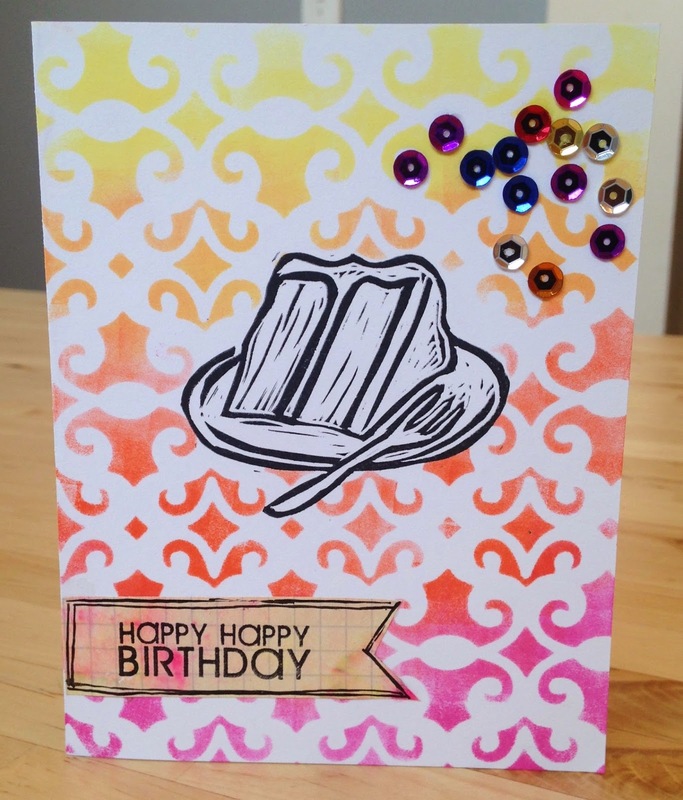 Thanks for playing along with us at Simon Says Stamp Monday Challenge!